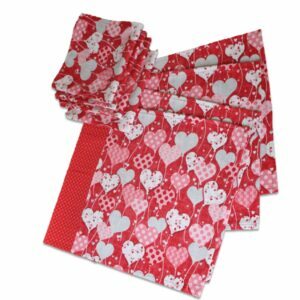 Our place mat sets contain 4 placemat and 4 napkins. Each colorful placemat set comes with four individually hand sewn quilted blocks. Perfect for daily use or special occasions, our placemats are designed to make your table scape pop while still adding functional protection.